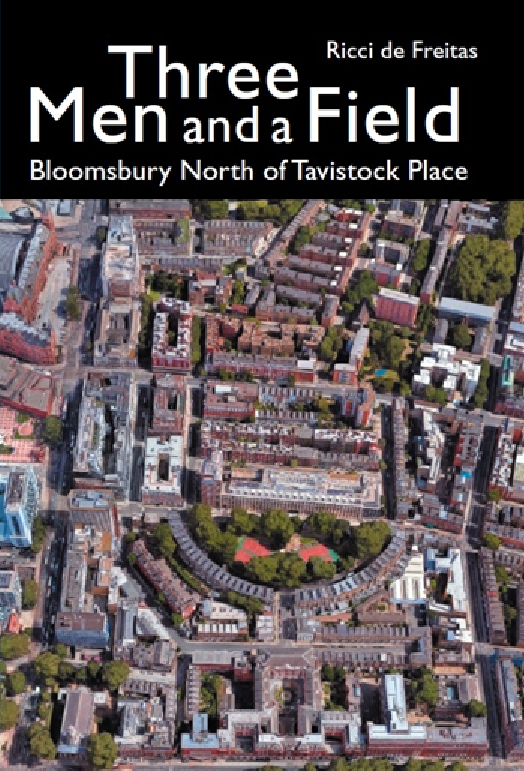 You are cordially invited to attend the launch of a new book – Three Men and a Field – Bloomsbury North of Tavistock Place – by Ricci de Freitas. The event will be held in the historic setting of St Mary’s with St George’s German Lutheran Church, 10 Sandwich Street, on Tuesday 16th October, 6.30pm to 8.00pm. Many thanks to the Church for hosting this event, to John-Paul Muir for his background jazz piano, and to Waitrose Bloomsbury for the Prosecco! Note: This lavishly illustrated book is centred on the development of that part of Lamb’s Conduit Fields which lay between the Foundling Hospital Estate and the New Road (later renamed Euston Road), which was acquired by Sir Andrew Judd in 1572, and became The Skinners’ Company Estate. It remained farm land until 1807, when the prolific Georgian architect, builder and developer, James Burton, began developing the estate. By 1820, The Skinners’ Company Estate was an established residential district, with 11 new streets of houses, each of which has its own dedicated chapter in the book, with mini-biographies of their most notable former residents. The area underwent a further transformation in the early 1900s, when Abraham Davis, under the auspices of the London Housing Society Ltd, single-mindedly replaced 13 ‘tired’ Georgian terraces with the impressive array of red-brick mansion blocks which characterise the area today. ← It’s Marchmont Street Party Time! !